In Japan, woodworkers traditionally work with soft or medium-hard woods, like pine, cedar, cypress and white oak. But with extremely hard woods, especially some of the popular tropical woods, some problems become apparent. The saws cut quickly and cleanly, but because of the way they teeth are designed and manufactured, there is a real danger of breaking off the teeth in very hard woods. With this saw, the tooth geometry is designed to withstand the stresses involved in cutting hardwoods, so you can work even the hardest tropical woods with much less fear of damaging the blade. This is a saw designed for professionals with a forged blade! Not disposable, you can sharpen this saw blade if you have the skills! 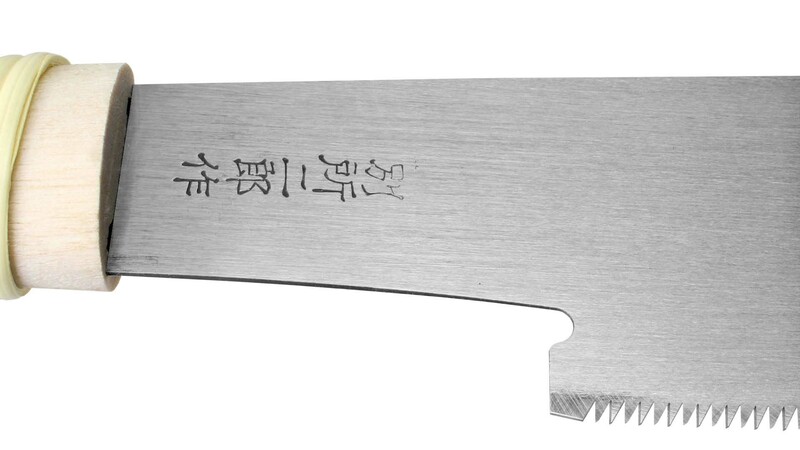 Hardwood Saw without back "Kataba" The entire blade is made of very hard steel. 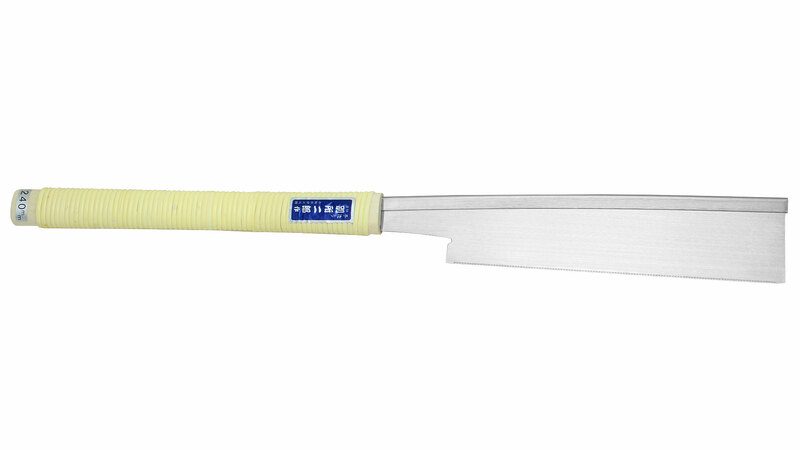 The whole blade is ground from thick material and the original thickness is kept in the shaft of the blade. So there is no need for any chucks, screws or levers in the blade area limiting the capacity. Thus you can use the whole blade conveniently. Mixed teeth geometry for ripcut and crosscut! 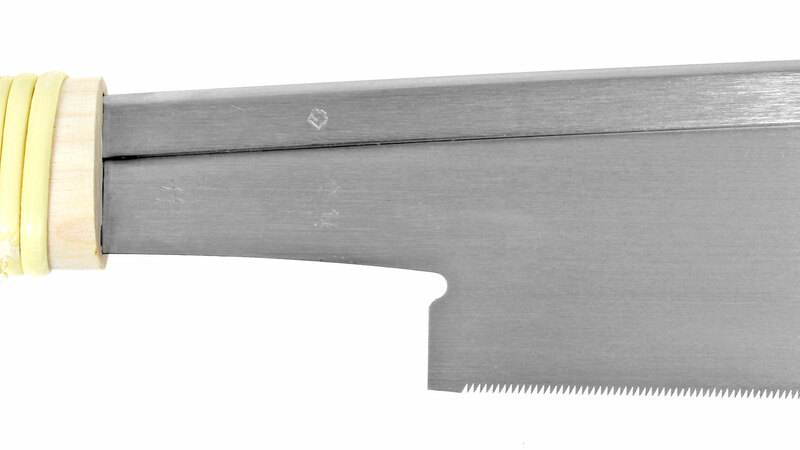 Hardwood Saw with back The entire blade is made of very hard steel. 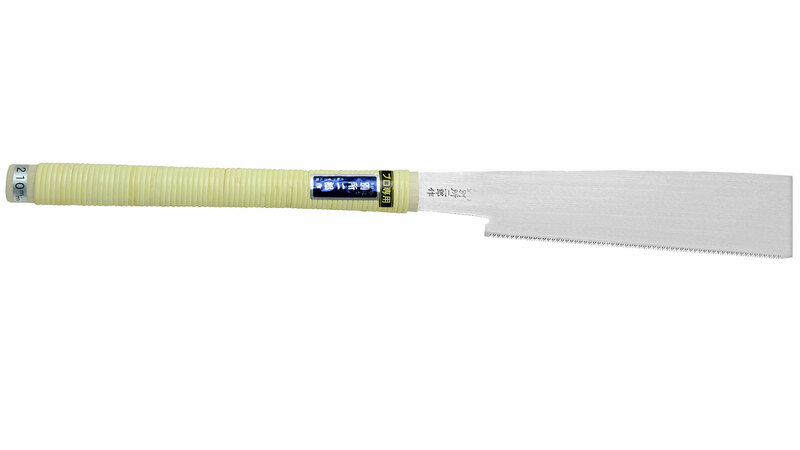 The whole blade is ground from thick material and the original thickness is kept in the shaft behind the tooth row of the blade which adds more solidity to the blade. Back is adjusted to the different shaft thickness. Mixed teeth geometry for ripcut and crosscut!